Speak to the professionals at Men That Move. We move anything. 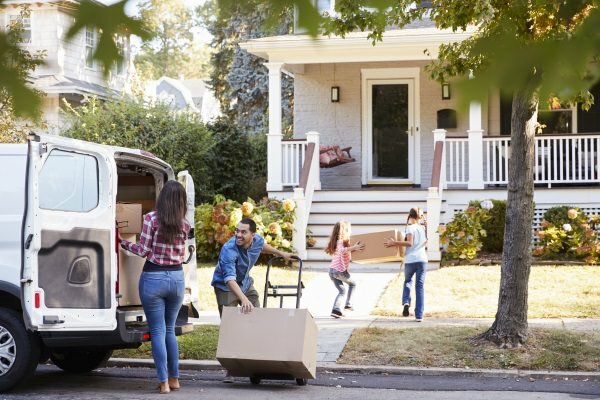 Do you need a reliable moving company for your next move? Men That Move is an established business and one of the most trusted moving companies Sydney has to offer. With offices in Melbourne and Brisbane as well, you can take advantage of a fleet of trucks no matter how much stuff you have. Whether you need 2 men and a truck or more, Men That Move have the service you need. As you can see from the glowing testimonials that clients have provided, you will be hiring a reliable and fast Sydney removalist. And we are always on time. Choose a service from the boxes below. When you hire Men That Move, you will be dealing with one of the most affordable and reliable removalists Sydney has available. The price you are quoted is inclusive of all charges and you won’t encounter call out fees, travel charges or fuel levies for moves within 30km of the Sydney CBD. Is your move becoming quite an intimidating task? Then maybe you need someone to take care of your entire move. By talking to us about some of our full-service packages you’ll find out how you can let someone else take care of the packing and unpacking. And that is possible for corporate logistic services and private homes alike. Just imagine having all the time you need to take care of everything else involved in a move. And when you get to your new home or office, everything is ready and set up for you. Whether it is 1 item, a 1 bedroom, 2 bedroom, 3 bedroom residence or office relocation, our Sydney removalists team will move your belongings from your old home or office to your new premises. You can also rest assured, as these Sydney moving services are fully insured. And we offer cheap home removalists solutions no matter how many boxes you have. 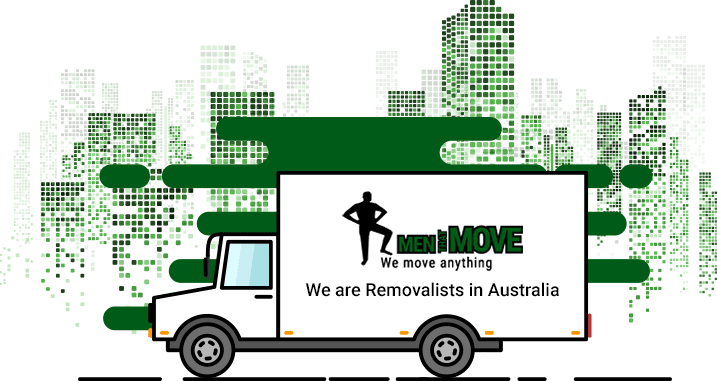 Men That Move, offer removal services to all major areas of Sydney from the Eastern and Western suburbs, to the South and Northern Beaches. The removalist prices you are quoted are all-inclusive for removals starting and finishing within 30km of Sydney CBD. You will not be charged call out fees, travel charges or fuel levies for Sydney moving services. This means you won’t find any hidden or surprise charges! The drivers, packers and logistic team that come to your door are highly skilled with years of experience. We offer free quotes and know we are very competitively priced. Speak to us about discounts for long distance moves and big moving jobs. All of our equipment is fully serviced and maintained. And it’s tailored to make moving all types of furniture and goods safe and easy. That means you won’t have to worry about your items not arriving in one piece. You can hire us for all types of removal services including storage, packing materials and logistic services. Moving house can be stressful, so we are committed to making the removal process as smooth as possible for you. That way you can concentrate on all the other things involved in the process. The team, from the booking officers to truck drivers, are professional and experienced. No job is too difficult or too small, so just call today for a free quote. As the best Sydney removalists available, you can take advantage of years of experience with all types of moves. That experience also allows you to receive a price quote that is competitive but still provides a high-quality service. We have no hidden charges and make sure all quotes will save you money. 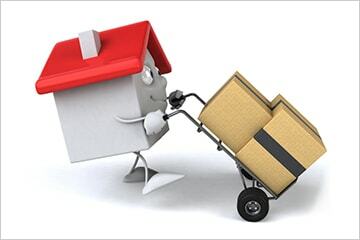 A Moving Company That Can Help You Move House Australia Wide! With Offices in Sydney, Melbourne and Brisbane we can also look after your interstate relocation, offering a weekly service with fast and efficient deliveries. Similar to our local removals, you can move a full house or just one item. And you will be offered a fixed price with no hidden costs! Don’t forget to ask about the free plastic moving boxes. We deliver and collect them as part of the service to make your move as simple and stress free as possible! 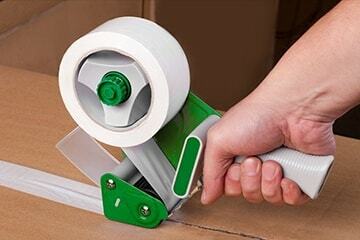 This helps keep your belongings safe during packing, unpacking and in transit. At Men That Move we cover all major areas of Sydney from the Eastern and Western suburbs, to the South and Northern Beaches. If you are under a time crunch and need to move fast, we will make sure you meet your deadline. Our fleet includes small vans to large trucks and you won’t pay for space you don’t need. Let us know the time you will be ready, and our removalists will turn up on time and get the job done quickly. Men That Move furniture removals Sydney, regularly services all major areas of Sydney from the Eastern and Western suburbs, to the South and Northern Beaches. Our pricing is all inclusive for moves starting and finishing within 30km of Sydney CBD. We do NOT charge call out fees, travel charges or fuel levies – No HIDDEN charges!!!!. Sydney’s most professional and experienced removalists. All packaging materials and a full packing service upon request. All inclusive pricing for moves within 25 km of Sydney CBD. Fully insured moves with all equipment included. 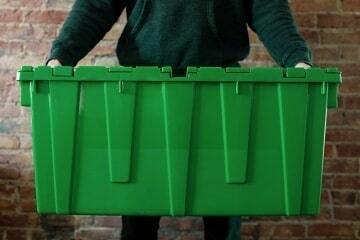 Free Rental of Strong Eco Boxes, Delivered to your Door. 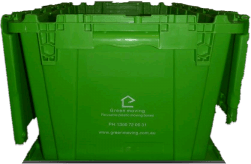 We deliver Strong – Eco Friendly Boxes to your door No More Cardboard! No More Tape! You Pack and Prepare for your Move. Or we pack for you! Our specialist team moves your items to your new home Efficiently! Carefully! Safely! Unpack and Organise – Once unpacked the boxes – stack neatly! We Collect the Boxes No Rubbish! No Landfill! No Worries! With Men That Move – you won’t ever have issues with finding boxes again!. This has several significant advantages to you. First of all, you don’t have to spend money on cardboard boxes that you then have to bring to a landfill. Secondly, both new and used cardboard boxes are very easily damaged and cannot be stacked when they contain a lot of weight. That means you make an environmentally friendly decision that keeps all your belongings so much safer. We will deliver boxes to your door, prior to your move, allowing you time to pack your belongings at your own pace. On the day of the move, our experienced removalist team will load and transport your items to your residence, collecting the boxes at a later date. That gives you enough time to unpack without having to rush. All our Eco Friendly Moving Boxes are specially designed to be strong, lightweight, durable and the right size for each application! Using a trolley or dolley can save you back breaking work for a small extra cost. We highly recommend a Trolley for medium to large moves. HOW TO USE OUR BOXES? 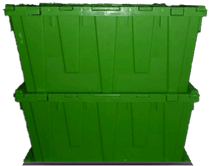 Look How Easy It Is To Use Our Boxes – Why Bother With Cardboard Boxes? No More Building Cardboard Boxes! Easy to Carry, Easy to Trolley! We will deliver boxes to your door, prior to your move, allowing you time to pack your belongings. On the day of the move, our experienced removalist team will load and transport your items to your residence, collecting the boxes at a later date, giving you enough time to unpack. 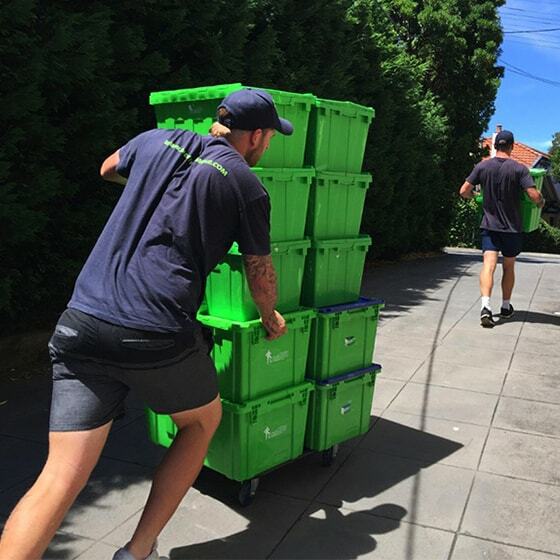 Men That Move are easily the best movers in Sydney. We have used them for several moves. Their removalists are friendly and get the job done quick which saves me money. I highly recommend Men That Move to anybody looking for a good removalist in Sydney. We moved from our 3 bedroom house. We were very impressed by our removalists (Sean, Andy and Coby) - they were all very professional, took such great care with our things, and worked incredibly hard as a team. Couldn't be happier with how it all worked out. Great guys. Had read good reviews and thought I'd give them try. Very efficient and professional nice guys. The use of the boxes was a great idea as you're not left with a mess of cardboards after the move. Brilliant idea, and brilliant service. Thank you! Todd, Dane and Ryan moved us locally. They worked effeciently, tirelessly and with good humour. We had a fun day and I appreciate that they took great care of our furnitures. Really great guys and service. I personally highly recommend Men That Move. Subscribe to our newsletter to get removalists updates, news and promotions.